Many of Philadelphia’s first families built their country estates on the banks of the Delaware River. They came by ferry, carriage, and later train, to escape the heat of summers in the city. It was at these grand estates they entertained some of the most prominent figures in the history of our nation. Glen Foerd is the only Delaware River estate located in Philadelphia that is open to the public. It is listed on the National Register of Historic Places. The Glen Foerd estate was established by Charles Macalester, Jr. Born in Philadelphia in 1798, he was a respected businessman and broker in the Philadelphia firm of Gaw, Macalester and Company. In addition, Macalester was appointed government director of the Second Bank of the United States. He was also friend, and advisor to numerous United States presidents. Officer and cabinet posts were offered to him, but he preferred to remain independent. In 1850, Macalester purchased 1,000 acres in northeastern Philadelphia and divided, plotted and sold off large lots of his land. Holding onto one section of the land for a summer residence, he built a three story Italianate riverfront house and called it Glengarry, after his family’s Scottish ancestral home. In addition to the mansion, the estate consisted of a stone gas house, ice house, Gothic-style gatehouse, a sixty foot high stone water tower, five large greenhouses and riverfront cupola. Glengarry was the scene of many gala affairs. During the summer, heads of state and other dignitaries traveled from Washington, D.C., where Macalester maintained a residence, as guests of Macalester and his daughter, Lily Macalester Laughton, a famous Washington hostess. After her father’s death, in 1873, Lily continued residence at Glengarry until her death in 1891. In 1895, the mansion was purchased by Robert and Caroline Foerderer. Robert made his fortune in the manufacture of kidskin leather. Leather gloves, shoes and other clothing accessories made from the soft, supple leather was the height of fashion. His Philadelphia manufacturing enterprise employed 5,000 workers and processed nine million goat skins a year. After purchasing the estate, Foerderer hired architect, William McAuley of Philadelphia, to handle extensive renovations to the mansion. The house was enlarged and enhanced with Classical Revival additions. Additions included a porte cochere, formal dining room, and impressive art gallery. Other enhancements included a Haskell pipe organ, parquet floors, grand staircase, elaborate leaded glass skylights, and rathskellar. A carriage house and garden house was added at this time, and the gas house was converted for use as a boat house. Everything was planned to enhance the uniqueness and beauty of the home and to accommodate entertainment on a grand scale. As a final touch, they changed the name of the estate to Glen Foerd, a merger of Glengarry and the Foerderer name. Due to the elaborate renovation design and labor delays, the Foerderers had not yet moved back into the mansion when Robert died in 1903. The Foerderers had two grown children at the time of his death, Percival and Florence. Around 1915, Florence and her husband, William Tonner, moved to Glen Foerd to assist her widowed mother. They lived in another residence located on the property just a short time before moving into the mansion with their two daughters, Marjorie and Carol. A new boathouse was built to accommodate William Tonner's new yacht. 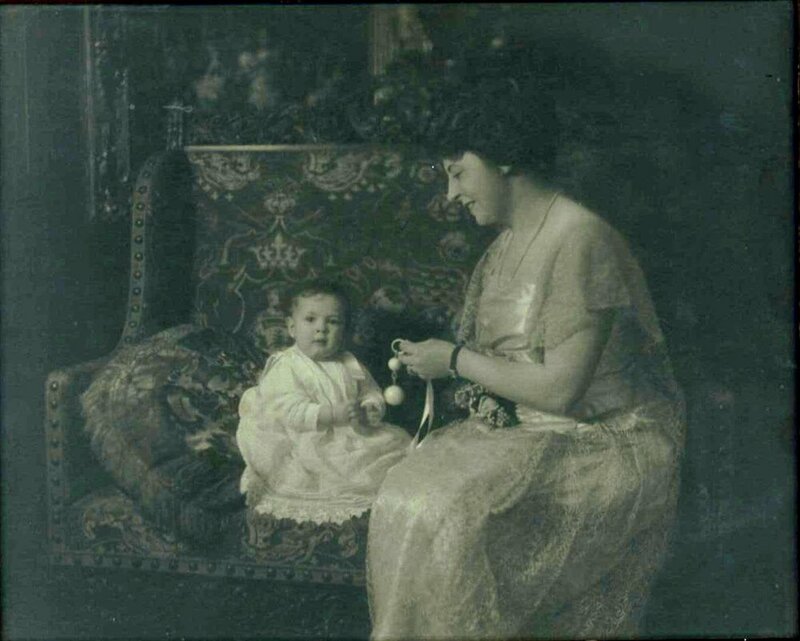 After her mother’s death in 1934, Florence continued to add to the art collection started by her parents. Florence assembled one of the most extensive private collections of prints in the country. Florence was a strong supporter of the arts. She was herself a talented poet and painter, as well as a musician. She went to great lengths to encourage young artists, frequently purchasing and displaying their work. She remained very active in the cultural and social affairs of Philadelphia, until her death in 1971 at the age of 89. Glen Foerd is much more than a story of the lives of one of Philadelphia’s elite families. 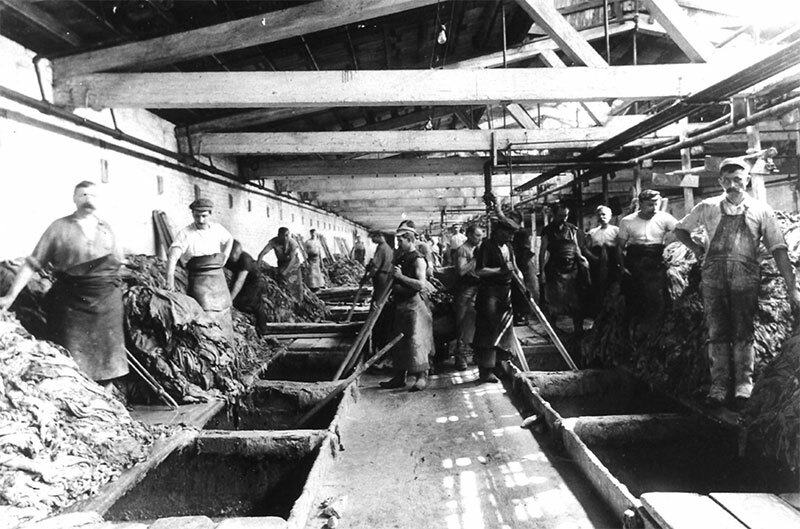 Both servants and factory workers were essential to the operation of the estate. Leather workers, estate employees, and the wealthy estate residents comprised a complex, interdependent system that is the essence of the Glen Foerd story. While servants and factory workers were often exploited, they likely held out hope for a better life for their children. Despite the exhausting work and long hours, many people found their living standard better than the one they may have left behind. Arthur Laws was employed as the butler for the Foerderer family from about 1908 until his death in 1931. He was born at Doctors Hall Plantation, a sharecropping plantation in Richmond County, Virginia, in 1875 but eventually joined the migration of young black men from the post-Civil War south to more promising lives in northern cities. As the butler, he was the highest-ranked of all the domestic staff at Glen Foerd, though records show he was paid less than some of the white employees he oversaw. 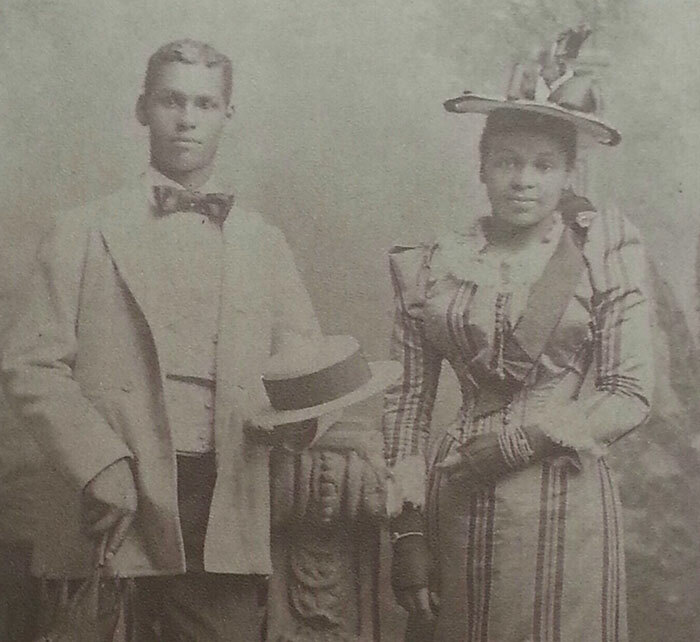 Arthur Laws was a dedicated worker who spent almost all of his time at Glen Foerd, while his children and wife lived in a home the couple owned in North Philadelphia. Stories from his descendants make note of his occasional visits home to his family, where he would don the same fine livery he wore at Glen Foerd, lay the table out with fresh flowers and fine silverware, and treat his own family with all the elegance and grace of his position at Glen Foerd. By the time his children were in their teenage years, Arthur and his wife Mary had both died. The Foerderer family paid for their continued care and education, and descendants of Arthur Laws still visit the Mansion today. Another employee, Elizabeth “May” Prettyman, came to Glen Foerd as an unmarried teacher. She started teaching in a one-room schoolhouse in rural Delaware. Her life as the estate's Governess was a vast improvement from her earlier position. She lived on the mansion’s third floor, by the children’s bedrooms. Her suite included a bedroom, sitting room and bathroom. While at Glen Foerd, she met and fell in love with Glen Foerd’s gardener, Joseph McGowen. The relationship must have caused a stir. Not only was it considered improper for servants of the same employer to have romantic relationships, but Joseph was many years May’s junior. The relationship, and subsequent marriage, ended May’s employment at Glen Foerd. May left Glen Foerd with $10,000 in the bank. With her savings, she purchased a duplex in northeast Philadelphia for $1,200. Joseph and May had two children and lived at the same address throughout their married lives. We are just beginning to research the estate employees and Foerderer’s leather factory workers. Ongoing research will help to reinterpret Glen Foerd so its story reflects the complex system which existed between the Macalesters, Foerderers, and their employees. Workers in the vat room of Vici Kid factory in Frankford. Image Credit: Pennsylvania Museum and Historical Commission.